Like with most Pokémon games, Pokémon Let's Go, Pikachu! & Let's Go, Eevee! have multiple gyms spread across the region. This page is to detail all the gyms, and the Gym Leaders and their Pokémon. 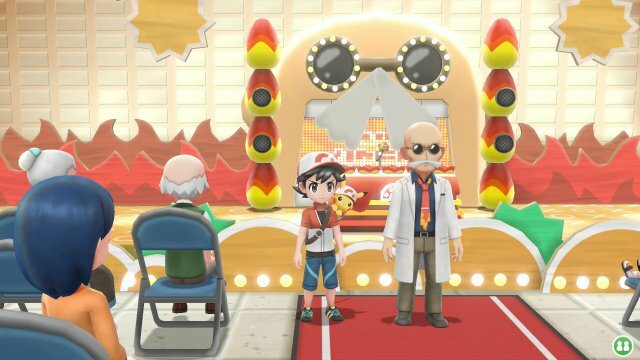 The first gym is located within Pewter City. 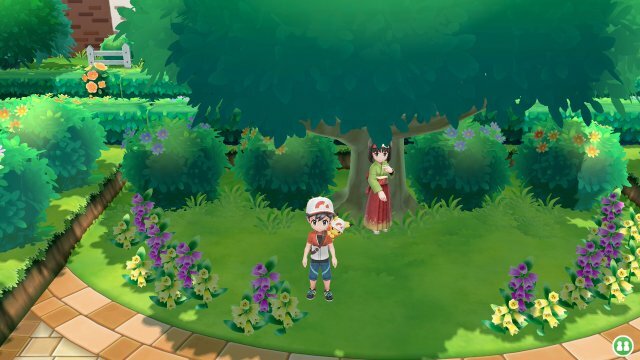 This gym requires you to have a Grass-type Pokémon or a Water-type Pokémon in your team as you enter to show that you can take the Gym on, but it is not required for battle. 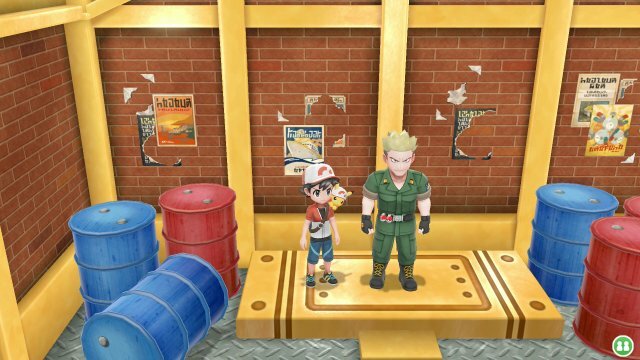 The gym doesn't have a puzzle but you can navigate around the trainers to go straight to Brock if so wished. Defeating him earns the Boulder Badge which allows traded Pokémon up to Level 20 to obey, as well as TM01, Headbutt. 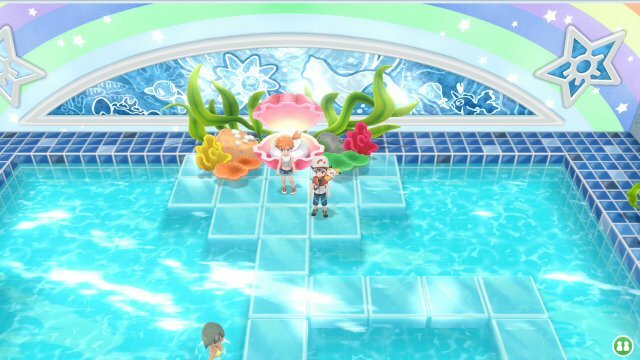 The next gym is in Cerulean City and is focused on Water-type Pokémon. To get into the Gym, you need to show a Pokémon that is Level 15 or higher. Like the previous Gym, there's no puzzle but you can skip various trainers to get directly to Misty. Defeating her earns the Cascade Badge which allows traded Pokémon up to Level 30 to obey, as well as TM29, Scald. 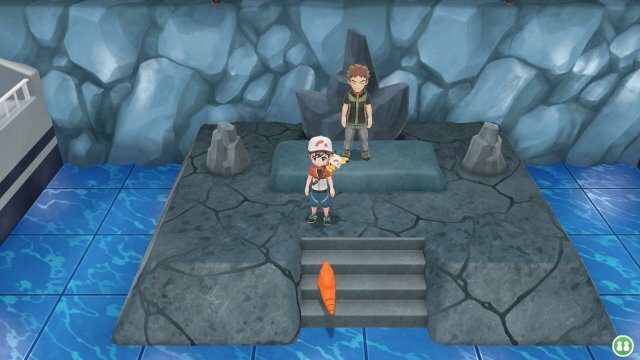 The next gym is in Vermilion City and can only be accessed after you have learned the Chop Down Secret Technique from the captain of the S.S. Anne. Once that has been obtained you can enter Vermilion Gym with no further requirements. This Gym has a puzzle where you need to press two consecutive buttons in trash cans, but if you press the wrong trash can after the first, it resets and you need to find it again. The first trash can is always next to one of the two coloured trash cans. Defeating him earns the Thunder Badge which allows traded Pokémon up to Level 40 to obey, as well as TM36, Thunderbolt. The next gym is in Celadon City, in the south-west of the city, and has a special restriction before entering. To get into the Gym, you need to show that you have a cute Pokémon. Thankfully, your partner Pikachu or Eevee will suffice for this. This gym doesn't have a puzzle but has a winding maze with multiple paths which can lead you back to the entrance. You'll need to use Chop Down as well. In the middle of the gym you will find the leader, Erika. Defeating her earns the Rainbow Badge which allows traded Pokémon up to Level 50 to obey, as well as TM53, Mega Drain. The next gym is in Fuchsia City. To gain entrance to this gym, you need to have at least 50 species of Pokémon registered into your Pokédex. When in the gym, you need to navigate your way to the middle to find Koga. 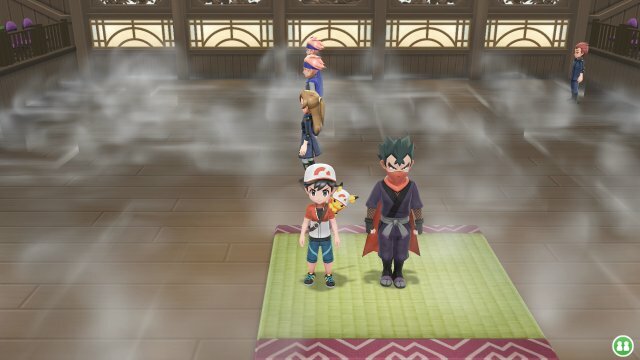 However, there are invisible walls which can only sometimes be seen due to smoke, creating a maze like structure in the gym. When in the middle, you meet Koga. Defeating him earns the Soul Badge which allows traded Pokémon up to Level 60 to obey, as well as TM27, Toxic. The next gym is in Saffron City after you have removed Team Rocket from Silph Co.. This gym requires you to have a Pokémon Level 45 or higher to enter. 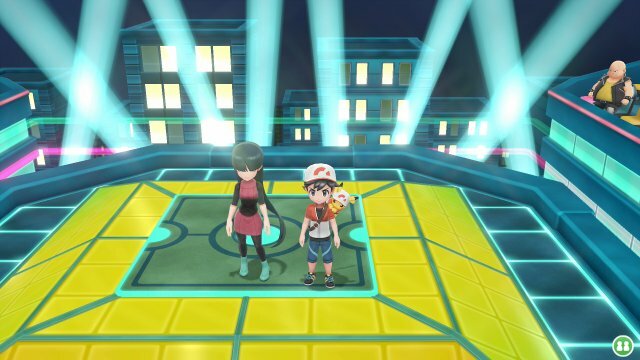 This Gym is a warp-tile puzzle where you have to make your way to the top skyscraper where Sabrina is, battling trainers along the way. When at the top, you'll find Sabrina. Defeating her earns the Marsh Badge which allows traded Pokémon up to Level 70 to obey, as well as TM33, Calm Mind. The next gym is on Cinnabar Island. To get into it, you need to retrieve the Secret Key from the nearby Pokémon Mansion. This key will unlock the gym. When inside, the Gym is set up as a game show and Blaine will challenge you to various questions. You need to get 5 Blaine Dolls and to get them, you need to answer 5 questions. If you get them correct, you get a Blaine Doll. If you get them incorrect, you get a trainer battle which will then get you a Blaine Doll. Question 4: True or false! TM28 contains the move Tombstony. Answer: False / What's That?! With 5 Blaine Dolls, you can then challenge Blaine. Defeating him earns the Volcano Badge which allows traded Pokémon up to Level 80 to obey, as well as TM46, Fire Blast. The next gym is in Viridian City. This Gym is originally vacant but after defeating Team Rocket and earning 7 badges, the Gym will be filled again, but first you need to meet with Blue and your Rival and receive the Mega Stones from Blue in Oak's lab. Once done, the gym leader returns to the Gym. This gym has a moving tile puzzle where you need to navigate to the end where the Gym Leader appears. 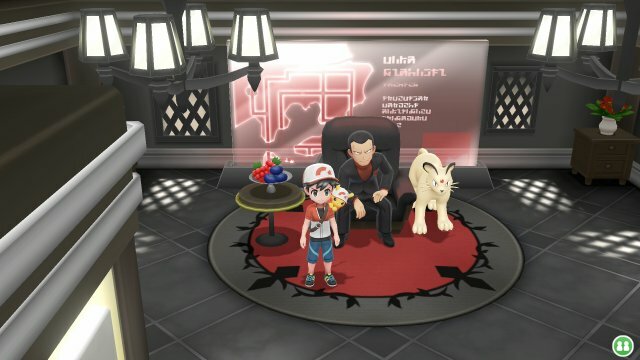 This Gym Leader is the Team Rocket Boss, Giovanni, who has retreated to the gym to rebuild Team Rocket. Defeating him earns the Earth Badge which allows traded Pokémon up to Level 100 to obey, as well as TM41, Earthquake.